Did you register your car? How about your computer? And your furniture? What about your firearm did you make sure to register that? Did you register to vote? Did you register when you enrolled in school? It feels like so much of what we purchase and so much of what we do has that official administrative word attached to it: register? Did you know that even some occupations, like nursing, have this impressive word attached to it? In fact, a registered nurse is a person who has certain qualifications and responsibilities far beyond what ordinary nurses enjoy. A registered nurse is a nurse with a specialized license that designates they have the training and skills necessary to take on certain responsibilities within the medical field. Many patients rely on registered nurses, and with your Associate's Degree as a registered nurse you too will possess that unique skillset that enables you to help many different types of people. Registered nurses dont just provide patient care they help coordinate it. Many lesser qualified nurses provide just the basics in patient care and have minimal training and certification. Registered nurses, on the other hand, are qualified to coordinate the specific care needs for patients based on doctors' recommendations, and they also provide specific advice to patients and their family members. Registered nurses are responsible for recording the medical histories and the current symptoms of their patients, making sure that their reports are well-organized and filed. This provides physicians with the immediate access they need to patient information. They also are responsible for observing and recording the conditions of patients. There are fewer doctors to go around a large set of patients, but a team of registered nurses serves as the eyes and ears inside of each patient's condition. Registered nurses are also the hands, too, since they commonly give patients the proscribed medicines and treatments, and operate the necessary medical equipment. They even assist with diagnostic tests at the beginning of a patient's visit, and they provide advice and set up healthcare plans at the tail end of these visits as well. In fact, registered nurses essential provide the most essential and ground-level functions for the beginning, middle, and end of a patient's visit to a wide variety of healthcare facilities. The specific responsibilities of a registered nurse will change depending on the type of medical facility they are employed in and the type of specialty areas they have a focused expertise in. Hospitals are the most commonly thought of area for registered nurses to serve; but there are also many different departments inside of a hospital that require a specified training, such as therapy, surgery and recovery, pediatrics, and so on. Nurses are also commonly employed in physicians' offices and outpatient care centers. Registered nurses might obtain further training in areas that help them become clinical nurse specialists, nurse anesthetists, nurse midwives, and nurse practitioners. An Associate's Degree program leading to becoming a registered nurse includes diverse elements of education that cover medical terminology, patient care, anatomy, chemistry, other sciences, administration, and other nursing-specific courses. These prepare students to take on the unique challenges and earn the unique rewards implicit inside of this exciting career. From working on a team of nurses, physicians and administrators, registered nurses will be at the forefront of providing extremely beneficial health care to the patients they are responsible for. In a world where it seems like we can register everything, we realize that one of the most important things that are registered is nurses. When you earn your Associate's Degree to become a registered nurse or a dignified RN you will be equipped with a host of skills and knowledge that will benefit patients and the healthcare facilities they depend on. We sat down with Carey McRoy who recently passed her licensure and is now a registered nurse. We wanted to find out more about her career and get some rare insight into the life of a registered nurse. Question: Can you tell me what got you interested in becoming a Registered Nurse? Answer: I always loved the medical industry and it all started in high school when I started taking anatomy classes. I just enjoyed working with the human body and it seemed like a pretty easy fit once I graduated. Question: Did you enroll in nursing school and how was your education experience? Answer: After I graduated high school I went to college and earned a degree in social sciences. I was just going to enroll in a nursing school but my parents talked me into getting a degree first and the school I wanted to attend had a waiting list of a year so I wasn’t able to get in. Once I finished college I applied and started my nursing training that next month. The process for me was pretty easy as I already knew what I wanted to be so it was just a matter of finishing school as quickly as I could so I could find a job. Question: As a nurse do you do certain tasks you don’t like and which ones are your favorite? Answer: I think with all nurses you can expect the same answer and anytime you have to clean up bodily fluids from a patient that isn’t something I look forward to but something you’ll end up doing more times that you can think of. I personally really like putting in IV’s. It might sound odd but I know once I do it correctly the patient will start feeling better so it is something I look forward to each day. Question: Is the job ever stressful? Answer: Oh yes. The position at times can be very stressful so you look for ways to make the job as easy as possible so you don’t focus on all the negativity that can go on. It is hard because where I work in a trauma hospital we see a lot of horrible things walk through our doors so having a positive approach is a good way to handle the stress. Question: We hear that sometimes doctors can be really rude. What has your experiences been with the doctors you work with. Answer: I can fully understand why some nurses think that way. My first year was really hard and I worked with a particular doctor that seemed to always been in a bad mood and looked down on people. I think once you realize as a nurse you are there to do your job things will go easier. I know some nurses took things personally and it is a common joke that nurses actually do more to keep the patient happy and alive than a doctor could ever do. I would say keep an open mind and roll with things. Question: Any advice you would like to give to anyone looking into becoming a registered nurse? Answer: I would say just go for it. I was told early on that the program is really hard but if you just take it one class at a time you’ll be finishing before you know it. More and more employers are now wanting RN’s to receive their BSN degree. Below are some of the specialized roles that you’ll qualify for with your BSN. 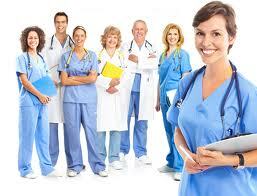 Nurse Anesthetist – As a nurse Anesthetist you’ll be able to administer anesthesia during surgery. Patient Educator Nurse – You’ll spend time offering education to family of the patient regarding care. Critical Care Nurse Manager – You’ll work mainly in the ICU. Labor Delivery Nurse – Specialize in delivering babies as well as monitoring their health during birth. Below are just some of the core courses you’ll take during your training program.